Destructive Power in a Natural Disaster; Does Anyone Have the Authority to Protect Citizens? When the safety of citizens is at risk it is the local government that responds first. The county emergency and safety officials insist that no explosion happened at the facility. 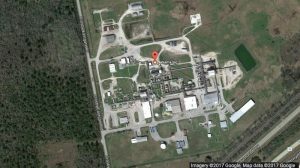 Earlier, the sheriff’s department said a deputy was taken to the hospital after inhaling fumes at the plant, and that nine others drove themselves to the hospital to get checked out for any major causes. The agency later said the deputies inhaled a “non-toxic irritant.” So why say it wasn’t something major, that the citizen should not worry about. 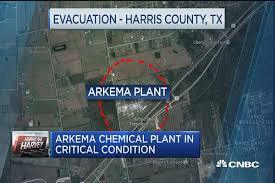 “There are nine containers of this kind at the plant”, Arkema executive Rich Rennard told reporters Thursday. “One is currently burning”. They will leave the remainder of containers where they are because its too dangerous to try and retrieve them, and to stop any future explosion or extremely dangerous fires. “We fully expect that the other eight containers will do the same thing,” he said. “Water is still in our facility and preventing us from accessing the facility, and we believe at this point that the safest thing to do is to allow the other eight containers, the product in those, to degrade and burn.” An Environmental Protection Agency statement Thursday night also said the containers would be allowed to burn. The values of truth and safety come into play when the sheriffs and deputies should have told the public about the nontoxic fumes to make sure no major conflict will happen for the safety and protection of the citizens. Who is at fault when a natural disaster occurs? No one can be blamed for natural disasters, although the people who were in charge of the chemical plant could warn the community about what could happen and the dangers that it can cause. Natural disasters happen out of things no one can control but there are ways to prevent from being in danger. Who is responsible for insuring the safety of the plant and being prepared for flooding? I believe the people who would be responsible for the safety for the plant would be the Federal authorities and the FEMA agency because the agency prepares the citizens for flood and how to get through it. What is the relationship of power and authority here in terms of things that can be controlled and things that cannot?The relationship of power and authority in terms of what can be controlled and what can’t is the flooding of the water and the “popping” of the explosion, that would be the power the people can’t control. The authorities can control on getting as much people out and into a safety environment.